Great in depth reporting! Thanks everyone who produces this. I really appreciate the stories. Please keep making shows! reporting we need now more than ever! It's been a year and a half. Gary, Kyle, and Brad move on. Embedded tells the story of another part of special counsel Robert Mueller's investigation--the question of whether President Trump may have obstructed justice by attempting to thwart the Russia investigation. It's a crime that could have been committed regardless of whether the Trump campaign coordinated with Russia in the 2016 election. Embedded tells the story of Special Counsel Robert Mueller's investigation into Russian interference in the 2016 election. What contacts did people in Trump campaign have with Russia? What financial and business ties has President Trump had with Russia over the years? And what more can we expect from the investigation? Through new interviews, archival research, and a look at key moments — from Miss Universe in Moscow, to hacked emails and promises of "dirt" — Embedded pieces together the story that defined the first year of the Trump White House. Now that Steve Bannon has left the Trump Administration, he says he is waging #war against the Republican establishment in the name of populist nationalism. But before he got involved in politics, Bannon spent decades in Hollywood, and his time there can tell us a lot about the origins of his beliefs. Follow Kelly McEvers on Twitter @kellymcevers, Tom Dreisbach @TomDreisbach, and Chris Benderev @cbndrv. 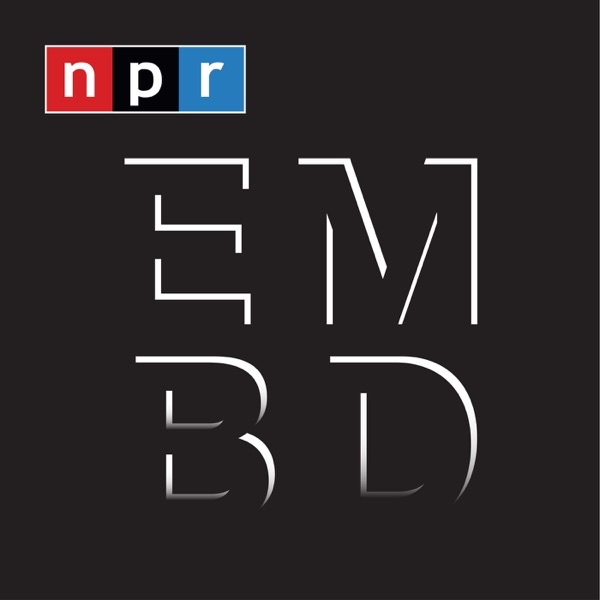 Email us at embedded@npr.org and find us on Twitter @nprembedded. When Donald Trump came to Rancho Palos Verdes in Southern California in 2002, he was greeted as a "white knight." Trump was buying a golf club that had gone into bankruptcy when the 18th hole had literally fallen into the ocean. But what followed was a decade of public insults, lawsuits, and broken rules. Follow Kelly McEvers on Twitter @kellymcevers, Sonari Glinton @Sonari, and Embedded producers Tom Dreisbach @TomDreisbach and Chris Benderev @cbndrv. Email us at embedded@npr.org and find us on Twitter @nprembedded. Kelly's here for a quick assurance: Yes we are working on more episodes at this very moment, and we'll tell you more as soon as we can. But in the meantime, check us out LIVE on stage in Anaheim, CA on Saturday October 29th at the Now Hear This Podcast Festival. There'll be tons of other great podcasts there all weekend long: Pop Culture Happy Hour, How I Built This, The Moth, WTF with Marc Maron, The Gist, Criminal and much more. Get tickets and more info at nowhearthisfest.com. It's happening all across the country, for complicated reasons: Schools are closing. And this is disproportionately affecting poor, black students. Shereen Marisol Meraji and Chris Benderev go to Wilkinsburg, Pennsylvania to ask kids, parents, and teachers what it's like when the neighborhood school that's been there for more than a century is about to shut down. Follow Kelly McEvers @KellyMcEvers, Shereen Marisol Meraji @RadioMirage, and Chris Benderev @cbndrv. Email us at Embedded@npr.org. Reporter Rebecca Hersher spent three months in Greenland trying to understand why that country has the highest suicide rate in the world. And then, the story came to her. Follow Kelly McEvers on Twitter @KellyMcEvers and Rebecca Hersher @rhersher. Email us at Embedded@npr.org. Medicins Sans Frontieres is also known as MSF, or Doctors Without Borders. They are the first ones to arrive when there's a war, an earthquake, an outbreak, or a famine. And increasingly, they are coming under attack. We spend a week inside one MSF hospital in South Sudan to find out what life is like for the people who do this work. Follow Kelly McEvers on Twitter @KellyMcEvers and Jason Beaubien @jasonbnpr. Email us at embedded@npr.org. When you play basketball in the NBA's minor league – it's called the D-League — the stands aren't full, the schedule is grueling, and the pay can be as low as $13,000 a year. Compare that to the NBA, where the profile is high and the salary is way higher. Playing in the D-League is a moonshot for every player, just waiting to get that call-up to the NBA. We follow two players through the highs and lows of an entire D-League season. You can follow Kelly McEvers on Twitter @KellyMcEvers, Uri Berliner @uberliner and Tom Goldman @TomGoldmanNPR. You can email us at Embedded@npr.org. On its face, the immigration system can look a lot like the criminal justice system: prisons, courts, judges, prosecutors. But the rules are different and the details are often hard to access. Today we go inside an immigration courtroom to follow the story of one man and his family. Follow Kelly McEvers @KellyMcEvers. Follow Caitlin Dickerson @itscaitlinhd. Email us at embedded@npr.org. On Skid Row in Los Angeles, where thousands of poor, homeless people live — many of them black — questions of how police should use force and interact with people come up all the time. We embed with both the police and the locals after the police shot and killed an unarmed black man. And we see what police tactics, from glad-handing to tough love, look like up close. Follow Kelly McEvers on Twitter @kellymcevers and Tom Dreisbach @TomDreisbach. Email us at embedded@npr.org. El Salvador is the murder capital of the world, by many estimates. It has the highest homicide rate anywhere outside of war zones. The reason? Violent street gangs, exported from the U.S. We spend 24 hours in the capital city, San Salvador, when the gangs try to flex their muscle like never before. Follow Kelly McEvers on Twitter @kellymcevers. Email us at embedded@npr.org. A shootout last year in Waco, Texas between rival biker groups the Cossacks and the Bandidos ended with nine people dead, 20 injured, and a lot of questions. Hear bikers give eyewitness accounts of the shootout and their predictions for what's next in this "war." Find Kelly McEvers on Twitter @kellymcevers. Email us at embedded@npr.org.